Following the latest Instructor survey, we’re making plenty of changes and improvements based on what you have told us. First of all – you’re reading it. Tribe Talk was launched to help you guys connect with each other, deliver research and educational information specific to your work, as well as social media resources, and alert you to changes, updates and business initiatives. We’re constantly evolving the programs based on your requests and suggestions and will continue to do so. 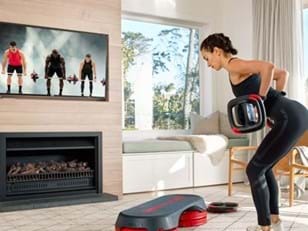 Recent updates include reassessing some tracks within various programs based on your feedback, for example in BODYPUMP, most of the tracks are now lyrical. For CXWORX, your feedback has been around the increasing intensity, so we’re pulling this back slightly. 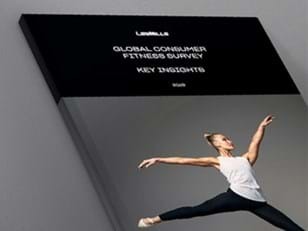 We’ve also looked at the structure of LES MILLS GRIT so it’s easier to learn and teach. For a list of updates published last month click here. Choreography notes have been improved based on your feedback. You’ll have already started to see changes to these in your latest releases. This includes the blocks now being clearly defined and easily visible, giving a high level overview of each track. The timecode, lyrics, music, move/exercise, counts and reps are also now all on one line. We will update previous releases with this format, too, and the notes will continue to evolve based on your ongoing input. If you haven’t filled out the survey there is a link within your latest notes. Tribe Coaches are now in place in many markets, including in the UK and Germany. They are experienced Instructors who are there to offer advice and support for new Instructors on their journey to certification, as well helping all Instructors to upskill, develop and progress through to AIM 1 and 2. 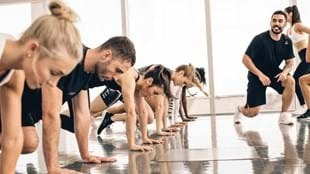 In the Group Fitness Management training we offer to clubs around the world, we’ve always said a single great Instructor will attract and retain hundreds of members to a club over time – and that attracting and retaining you is therefore one of the most important things a club manager has to do. This is a message we will continue to reinforce, and this will receive even greater focus in a major revision of GFM training that is underway this year. While LES MILLS LIVE is an amazing event, we've decided not to host one in the UK in 2018. Instead, we're focusing our entire event strategy on you, ensuring Instructor events are always accessible, affordable and designed for you. We’re adding two new Tribal Gathering events so there will be eight in total in 2018. These will be in more accessible locations with larger group exercise spaces to allow more Instructors the opportunity to attend. All programmes are included and they will be a highly education-focused event, including a new ‘look after you’ series. We also have 25 percent more Quarterly Workshops than last year, giving you access to over 230 Quarterly Workshops with 1230 sessions of your favourite workouts and education. We’ll also have a session for every programme during Quarterlies. To help you plan ahead, we've also published our events schedule earlier this year. NB for those of you who want a mega LES MILLS LIVE experience in 2018, there will be several of these held in Europe and elsewhere around the globe. Just watch our International Events page throughout the year for details. Regular monthly Instructor webinars have been launched to help answer your questions or provide you with new and useful information. We have introduced Regional Training Coordinators (RTCs) in the UK. Working with the Head Trainer, Instructor Experience team and Customer teams, the RTCs work on your behalf to improve training, quality assurance and Instructor satisfaction – and inspiring Clubs to keep upping their group exercise game in general. Making the Instructor Portal mobile friendly with updated video submission functions; an event search update went live in February, which will be followed by an event booking update in the next quarter, and we have many further improvements planned for the coming year. There have been significant updates to the Releases app for both the Android and iOS versions over the last couple of months. These changes address key pieces of your feedback, such as the ability to use subtitles or the ability to turn off presenter voices on downloaded content. We’re also constantly increasing the stability and speed of the app. For more detail click here. We’re looking at future enhancements and yes, the ability to set up your playlists is on that list! We’re working on updates to AIM that will improve its focus on your journey and success as an Instructor, and also broaden the available learning formats to suit your needs. Stay tuned, we’ll keep you posted on developments as they occur. Obviously there will always be more to do, and you can email us on instructor@lesmills.com with ideas any time. We’re looking at new and easier ways for you to talk to us in real time, so stay tuned for more news in the near future. Thanks so much for all your responses, ideas and suggestions. Your advice is so important that we’re moving the survey to a three-monthly cycle from April (don’t worry, though, each of you will only receive it once a year). Please continue to stay in touch.